We are back in Florida again this week with a home located on the gulf in a sally comunity called Watercolor. A new build for a young family, this beach retreat is primarily made of wood, both inside and out, including walls and ceilings. Interior designer, l.iz Hand Woods took inspiration from the view outside with neutral sands, bleached woods, and blue waters. The homes interior is a balanced mix of the wife's love of classic design, and the husbands desire for clean modern lines. There are numerous antique and vintage furnishings complimenting some very modern furnishings in an open and airy environment. Large wooden spheres scatter interestingly throughout, to enhance a circular theme that can be found in windows, flooring, cabinets doors and other objects. Designed by the firm of Bates Corkern., the home is built on 3 levels and features 12 foot ceilings, light coming in from 3 sides and stacked porches modeled after Charleston house. On the main floor, where beach sand can easily find it's way in, the floors are covered in concrete pavers, and the rest of the hoes in oak, by River Bottom Pine.. Some of the furnishings worth noting are the antique French lantern in the hall, Jonathon Adler rug, custo cabinetry by Bates Corkern studion in kitchen, and the gorgeous wooden dining set. 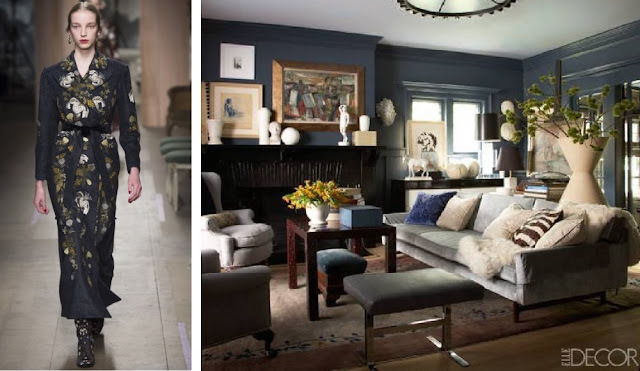 The full story is featured in the current issue of Veranda Magazine, photo credits are from Bates Corkern website. Pull it together..It's Nate Day !